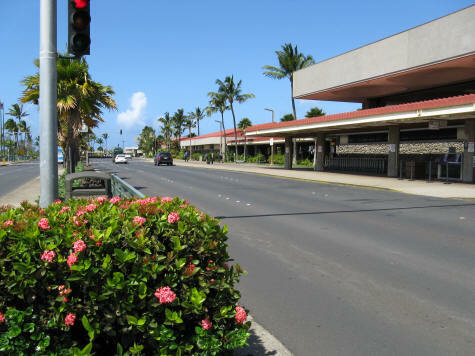 The Maui International Airport (Kuhului Airport) is located in Kahului Hawaii, Maui's largest community. Direct flights are available between Maui and many cities in North America, Asia and Australia. There are also frequent inter-island flights to Honolulu International Airport and to the other Hawaiian islands. People arriving at Kuhului Airport can purchase food and other supplies at the Costco store which is conveniently located near the airport. Hotels are also available nearby in the city of Kahului.